From the wickedly funny author of Submarine comes a hilarious new tragicomedy -- a screwball tale of millennial angst, pre-midlife crises and one man's valiant quest to come of age in his thirties. Ray is not a bad guy. He mostly did not cheat on his heavily pregnant wife. He only sometimes despises every one of his friends. His career as a freelance tech journalist is dismal but he dreams of making a difference one day. But Ray is about to learn that his special talent is for making things worse. Brace yourself for an encounter with the modern everyman. Enter the world of ironic misanthropy and semi-ironic underachievement, of competitively sensitive men, catastrophic open marriages, and lots of Internet righteousness. With lacerating wit and wry affection, Joe Dunthorne dissects the urban millennial psyche of a man too old to be an actual millennial. Joe Dunthorne was born and brought up in Swansea. He is the author of Submarine, which has been translated into fifteen languages and made into an acclaimed film directed by Richard Ayoade, and Wild Abandon, which won the 2012 Encore Award. A collection of his poetry is published as Faber New Poets 5. 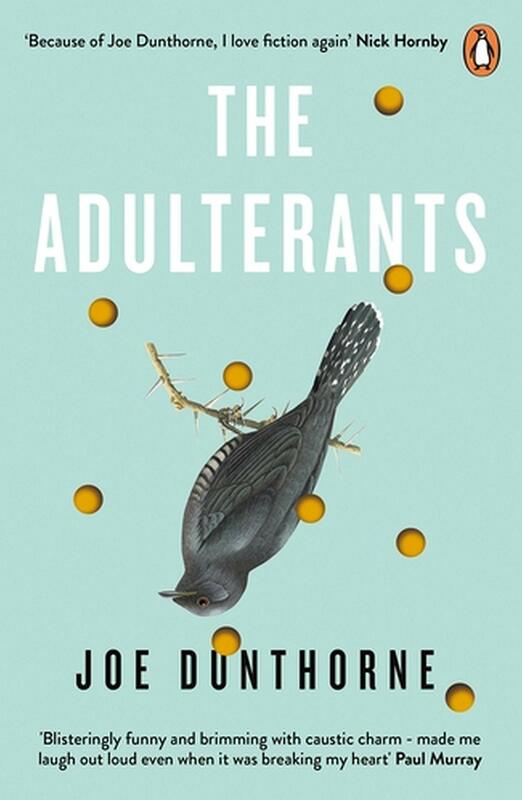 Joe Dunthorne lives in London and The Adulterants is his third novel.